Medical tourism in India supports the economy of the country. On yearly basis, the medical tourism of India to have infertility treatment is increasing day by day. There are many advantages for the medical tourism in India the reduced cost is a most emphasizing factor. In other develop and European countries of the world all the treatments are available but at a very high cost such that most of the citizen of there could not afford. But, all the treatment at very affordable cost are available in India thus has been the choice for preference of many people from the last several years. Medical tourism in India is crucial for both the party- the economy of India is boosting up and the candidate would get the best treatment at the best price. The successful treatment also favors the medical tourism in India. The success rate of the treatment depends upon the patient and the type of treatment needed for the patients. 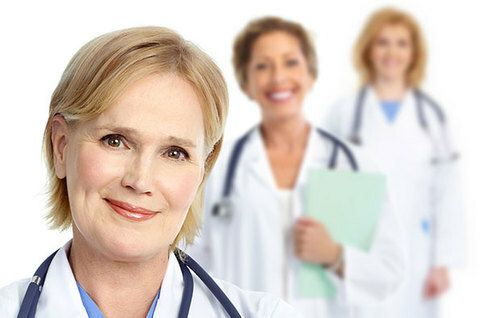 India medical tourism provides all possible treatments over the world. Technology and medicine have highly developed their name in India and thus all the treatments at best cost are available. For the best medical tourism and the successful growth in the country, the sector should be concerned about many factors provided medical visa should be approved sooner. Increasing more facilities for medical tourism will increase the outcome for the country. Basically, four main factors are the medical tourism facilitator- patients, medical experts, hotels, transportations and recovery centres. Facilitating the medical tourism Industry in India is in practice from last several years which has made the things easy for the tourists and enhances the economy of India too. The industry has been established in India for the last many years but is growing very fast from previous five years. Medical tourism India has much more advantage over other countries to start with the needed treatment for any types of the problem faced by you. Infertility treatment is also one of the famous and renowned treatments in India. Availability of every treatment at minimum cost is the appreciating one for selecting the place for treatment. India, a country of cultural heritage, is the choice for tourism for many including the medical tourism. Hindus originating from cultural mind follows the phrase” Atithi Devo Bhava” which means the guests to us is our responsibility and should be treated the best irrespective of any obstacle. Personalized service, one to one service is our choice thus to have the best result of the treatment given to the patient. World-class quality treatment and less waiting time is a factor supporting the medical tourism in India. Medical tourism Industry in India is really a favored destination for all the medical tourists in the country. Fuelled by government and self-establishing, the medical tourism Industry is growing rapidly with the best feedback in India. The total of the estimate for any of the treatment is at least 10 times the cost of the treatment at your place. Indian medical care is supposed to the key for the medical tourism industry in India. The easiest place to travel for the tourists in India is the place where there is a variety of climates and cultures. Really, is also the place for a visit in normal days rather than medical tour? Planning both the medical tour and normal tour will be an effective one and will literally fresh your mind. Medical tourism in India can be guided by many factors but the language problem arises in many other countries but in India, the doctors are experts in the English language. Despite India’s diversity of language, the doctors at our centres are experts in the English language. English is the official and widely spoken language by most people over the world in a medical profession. The medical profession not only deals with limited patients of the same locality but also they have to work globally. Language is also a barrier to many clients but now it will not be the issues for a barrier. Yes, the language is the only way of communication in an easiest way. Every client opts for the English language which is internationally accepted.